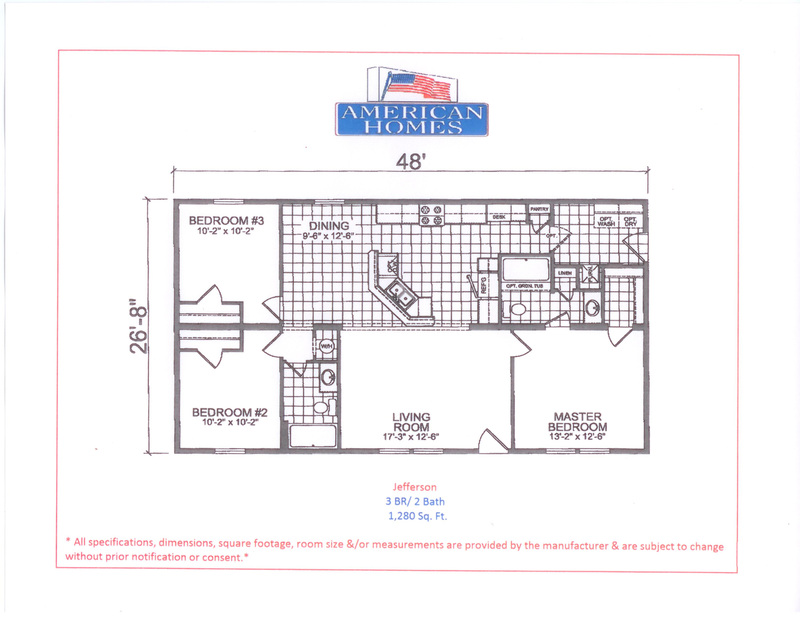 3 Bedroom / 2 Bath / 1,280 sq. ft. The Jefferson is as attractive as it is sensible. This 3 bedroom 2 bath home features an open floor plan design. Plentiful kitchen cabinets provide abundant storage, including a spacious pantry. When the kids are asleep in their rooms, hide away in your own cozy master retreat complete with walk in closet, and tub/shower combo. You’ll appreciate the Jefferson’s good looks and amenities.